Networking can be a double edged sword for entrepreneurs and small business owners. On the one hand, it can be a great way to make connections and open new doors for your business. However, on the other hand it can be extremely frustrating and intimidating, especially for individuals who are more introverted than they are extroverted. In this episode of Ignition, Dr. Nadia Brown shares some tips on networking for introverts and how you can get the most out of your networking group. Question of the Week: I started my life coaching business about two years ago. Things are going okay but I'm having trouble breaking through to a really sustainable income. I know I should be networking but I honestly don't like doing it. I've been going to the same few professional groups for more than a year and I'm not seeing it pay off from all of the time and energy I spend there. I thought I formed some strong connections but they keep falling through and I end up where I started. I keep hearing and reading that networking is a great way to build your business. Should I give up on networking or am I doing something wrong? To watch this episode of Ignition click here, or simply watch below. Since networking can be such an important part of business, some people consider it work, and therefore dread doing it. For this reason, Dr. Nadia Brown says that instead of viewing networking as work, think of it as relationship building. Meaning, when you go to an event don't focus on the quantity of connections that you make but rather the quality of them. Developing two or three strong relationships that you can continue to build over time is more beneficial to you and your business than collecting fifty business cards that won't lead you anywhere. For introverts, going to a networking event where you need to put yourself out there can be an awkward and intimidating situation to be in. As a result, you're probably less likely to leave the event with a ton of new connections. However, knowing this allows you to aim to make two or three good quality connections that you can continue to build relationships with over time. Not every networking group will be the same. One group may provide more referrals while another group may be filled with your ideal clients. By doing some research, you can find the right group to help meet your current business goals. 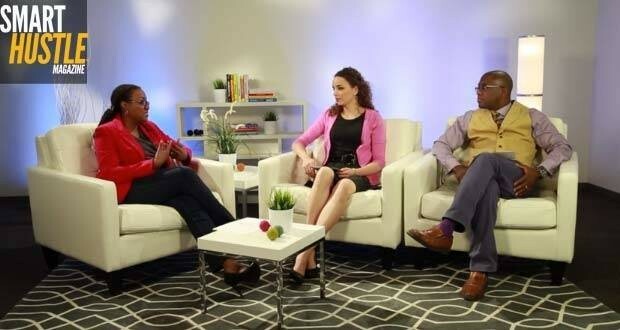 Learn more networking tips from Dr. Nadia Brown by watching this weeks episode of Ignition.